I’ve been back in Malestroit this week, a little French town filled with magical sculptures. I thought I had seen them all, but on this visit I discovered a secret, rather mysterious addition to the list. Malestroit is intersected by the River Oust, with part of the town sitting on the L’île Notre-Dame, or island of Notre-Dame. 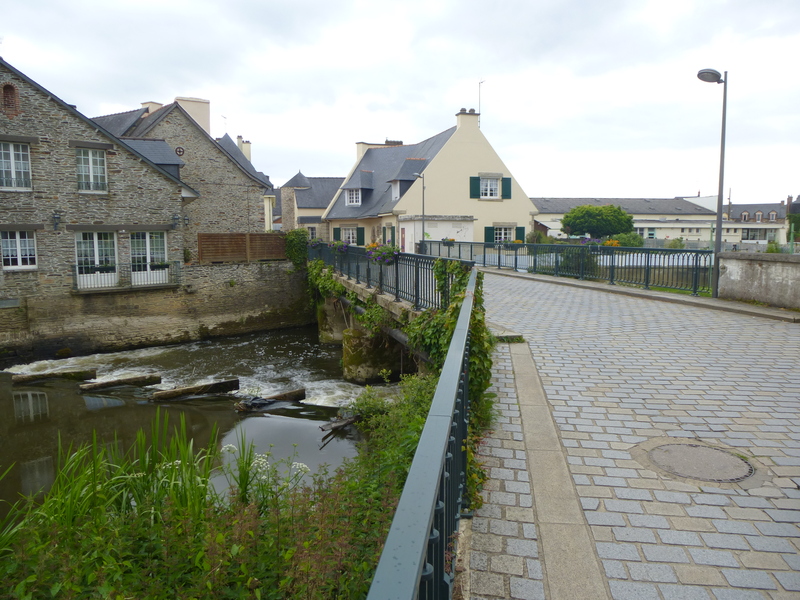 Once the site of a monastery, this small island is joined to the town by two bridges and is now home to a couple of houses and a large, deserted mill. 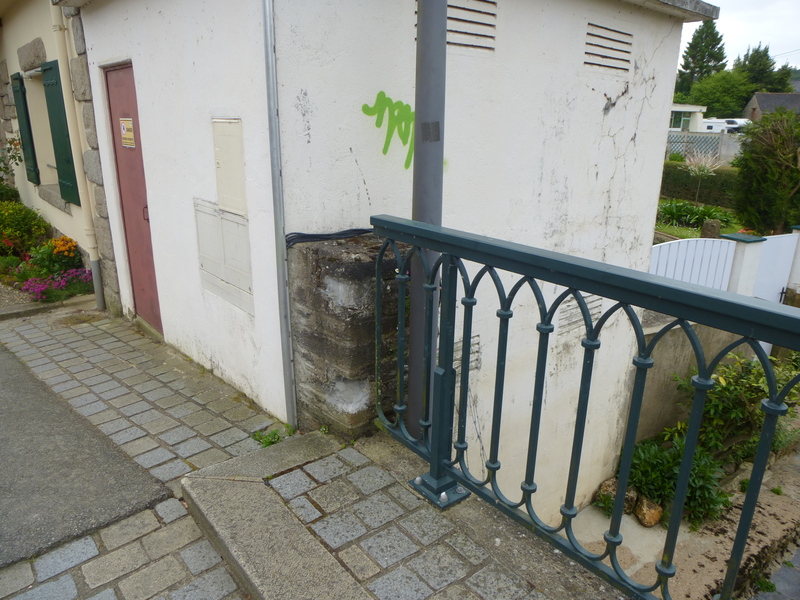 I was recently told about the existence of a sculpture known as the ‘Gardien du Petit Pont’ (Guardian of the Little Bridge) near the smaller of these two bridges, and decided to investigate further. I searched high and low, peering over the edge, hanging precariously over the rushing water, scanning the neighbouring houses. No sign of the guardian, and I was almost ready to give up. Just as I was about to walk away in defeat, I took a last look in an unpromising corner, amongst some weeds which were growing behind a lamp post. 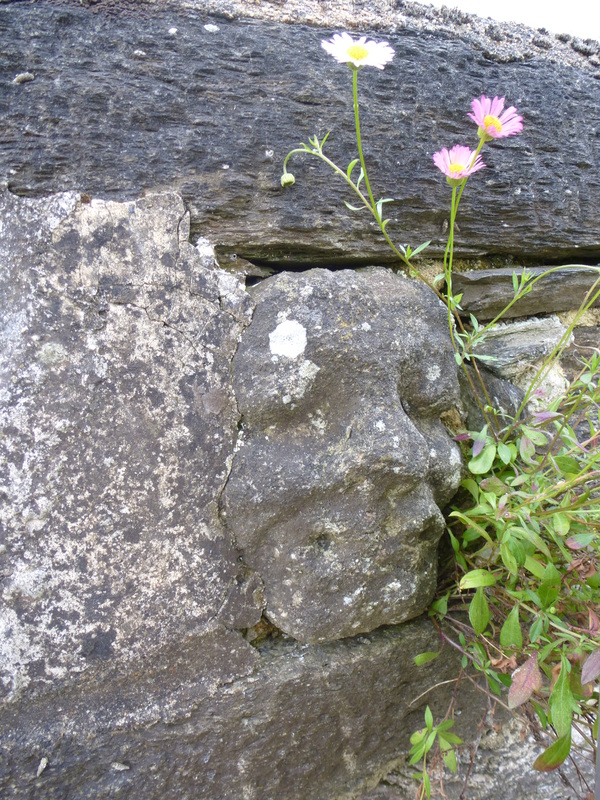 And there he was, the face of the guardian carved into the stonework of the bridge itself. I have no idea when the guardian was created, or who put him there, although I suspect he may have originated from the monastery which used to stand nearby. The guardian may not have prevented the regular floods which hit this town, but he has kept the bridge standing through some pretty extreme conditions. No wonder he looks so pleased with himself!